More than one million women and girls are within the U.S. criminal justice system—an increase of 700 percent since 1980. 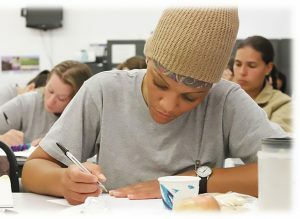 After they are released, women inmates face many obstacles, including: re-establishing a home and family life; finding affordable housing; securing employment; creating a new social network; fulfilling the multiple conditions of a parole plan, including continued sobriety, if not recovery, from alcohol or drug addiction; and negotiating the stigmatized perception of women ex-prisoners held by members of their communities. A crucial part of reentry success is the ability to effectively manage their finances to reestablish a household that meets the basic needs of both the individual and their family. Bankers are addressing this critical need by utilizing their unique role in financial education. In collaboration with Washington Corrections Center for Women and community partners, the $828 million-asset 1st Security Bank, based in Mountlake Terrace, Wash., facilitates financial literacy sessions as part of the Personal Reentry Mentoring Program for women who are about to reenter society. The training, which takes place inside the prison, is part of a collaboration of law enforcement, current and previously incarcerated adults, as well as community partners. The work engages current and former inmates to share their personal experiences and knowledge surrounding the issues of incarceration through writing and video diaries, encouraging self-reflection and self-actualization. Ten employees use their special areas of expertise in banking, lending, savings and credit to mentor the inmates so that they can maneuver in the financial system and succeed in their new lives. The bank mentors work alongside women incarcerated at WCCW to prepare them for life after release. Mentees and mentors meet prior to the inmate’s release to establish a personalized plan for reentry and transition that includes education or job training, access to housing and basic needs, counseling as needed, spiritual connections if desired and an individual work plan. “We are honored to be a part of this community, which is lifting up these inmates and helping them to rebuild their lives, and acting as a positive support system and aiding them in their post-release planning,” says Joe Adams, 1st Security’s CEO. 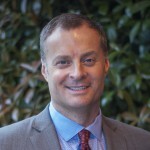 In Evansville, Ind., Old National Bank’s Financial Empowerment Officer Ben Joergens, who created the 12 Steps to Financial Success program in 2014 in partnership with the Henderson County, Ky., Detention Center, has worked with hundreds of female inmates who have been incarcerated for substance-abuse crimes. His program covers the nuts and bolts of banking, budgeting basics, identity theft protection, slashing expenses, building a budgeting strategy, using credit with care, finding ways to save, check, debit and credit cards, understanding and improving credit scores, buying a home and investing. It concludes with a game that allows participants to collaborate as a team and test their knowledge and application of the topics covered. The 12 Steps program has been expanded to males and females at a local rehab center, and Joergens and Old National are working with the state of Indiana to expand the program throughout the state. “We aren’t just bankers; we’re educators. I feel it’s a part of our job to enlighten those we come in touch with, especially those who have struggled in their past,” says Joergens. For their efforts, these banks received the 2017 (1st Security Bank) and 2015 (Old National Bank) Community Commitment Awards for financial education from the ABA Foundation.